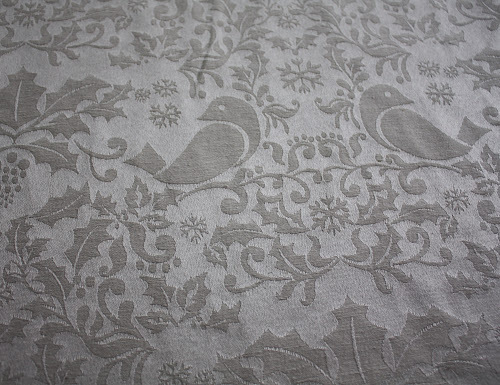 Last week while wondering through Fabric Land to pick up black fabric for sashing on this quilt, I stumbled across a sale on this pretty Christmas table cloth fabric. Being both a sucker for hipster bird prints, and tone on tone shiny ivory, I couldn't resist picking some up. 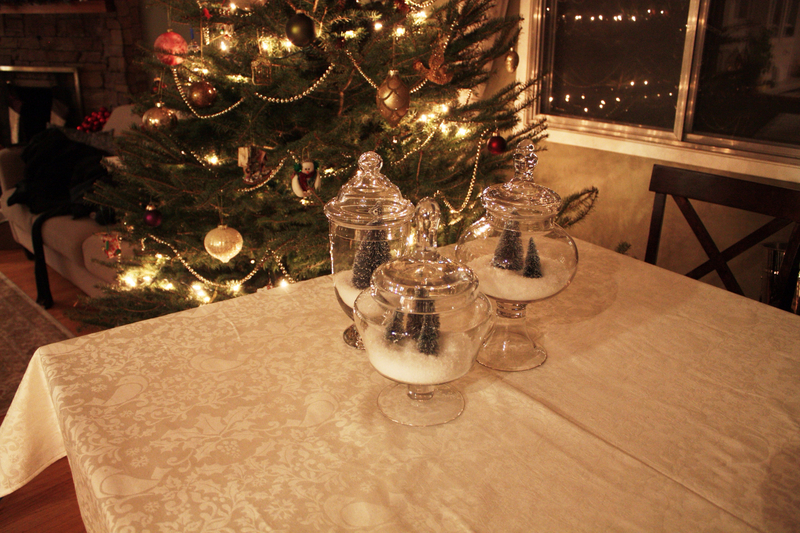 Yesterday I trimmed it into a square, hemmed the edges and voila, a Christmas table top was born. 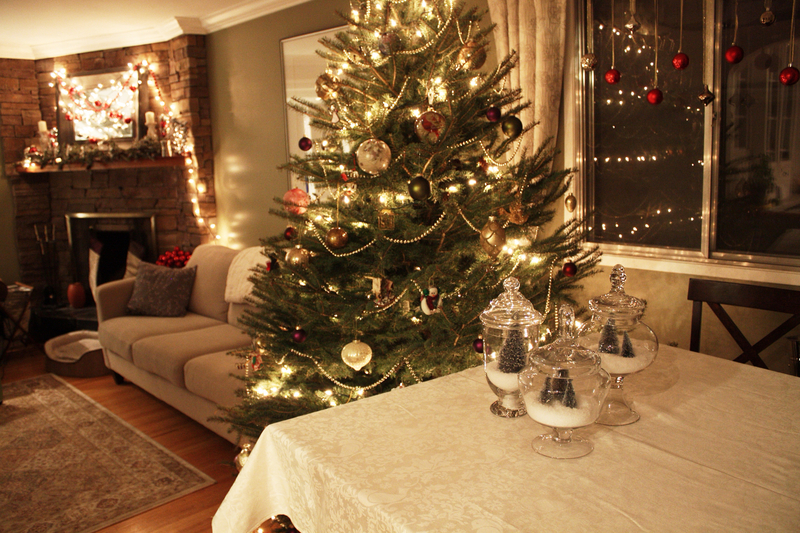 During the day it adds a warm touch to our dining room table, and at night it fits in nicely with our holiday decor. Overall this turned out to be a very quick and simple last minute holiday craft, taking no more than 30 minutes from store to table, but I'm really happy with the result. 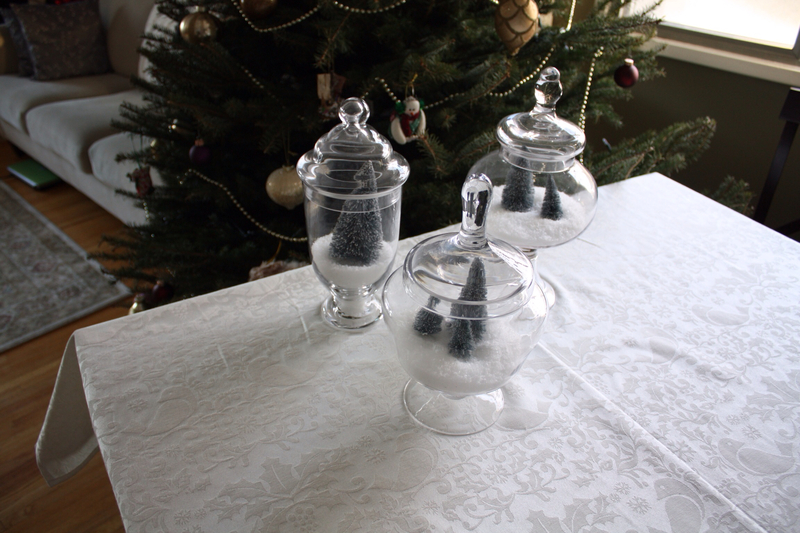 I think it looks especially pretty with the mini winter scene apothecary vases that I put together at the same time. This time of the year always seems to be filled with lots of WiPs on tight deadlines, but I was happy to take a quick break to work on something stress free and fun. Now it's back to my holiday sewing list!